New Delhi : Everywhere you look, development and progress seem to be the buzzwords of the hour, and India is powering forward as a global economy. But beyond the chrome and concrete lies a world that could definitely use a helping hand from the more privileged among us. 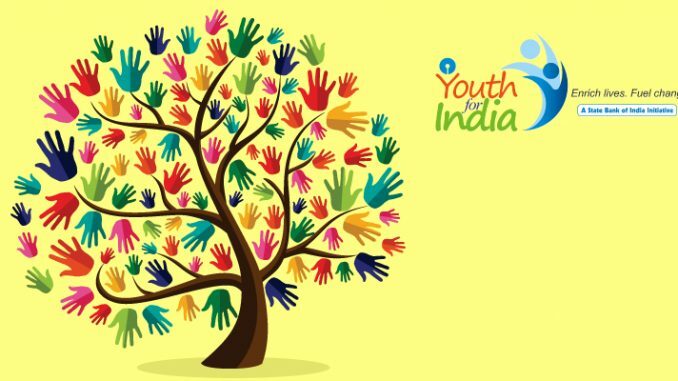 If you are one of those people who has a passion to extend a helping hand to the less privileged rural community, then the SBI Youth for India fellowship programme is your ideal platform. SBI Youth for India is a 13-month fellowship programme initiated, funded and managed by the State Bank of India (SBI) in partnership with well-known NGOs. The aim of the fellowship is to solve rural India’s most pressing problems by giving educated Indian youth the opportunity to touch lives and create positive change at the grass root level in rural India, providing NGOs working in rural India educated manpower and promoting a forum for the programme alumni to share ideas and contribute to rural development. The Fellowship was started in 2011 with 27 Fellows in the first batch. As of today, 130 Fellows have completed the programme. Participants have come from very diverse educational, professional, and cultural background representing institutions including the IITs, IIMs, University of Oxford, UCLA, and UC Berkeley. Today, Youth for India Fellows are working on a variety of projects at 32 locations across nine states of the country in 12 programme areas. You don’t need to have any background in social work or development, just the will and desire to be a part of change. As long as you are a graduate, either fresh out of college or working, an Indian citizen and between the ages of 21 and 32, you are eligible. Being people-oriented and a team player are added advantages. As this is a 13-month long commitment that will require you to live in rural India and work at the grassroots level, a high level of dedication will be a prerequisite. This one-of-a-kind short-term fellowship will offer hands-on experience of rural markets, an insight into the mind of the rural consumer and what lies at the ‘bottom of the pyramid’. You will learn about solving challenging rural problems and to think innovatively, act proactively, exhibit leadership and acquire management skills. These qualities will be highly valued when you seek employment once you complete the fellowship. So, come be a part of this unique social exercise that will not only change your life but change the life of many of India’s less privileged. The final application form should be filled within 7 days of registration, else the form will be suspended. The last date to register and submit the online application is May 31, 2017. Many of us have been fortunate enough to be born into circumstances where we have never had to worry about where our next meal was coming from or if we would sleep with a roof over our heads. Our education has ensured that we move forward in life and do well for ourselves. However, there are those who have never had this opportunity, and will always be marginalised, and can never even dream of changing their lives for the better. It falls to us to give back to society and contribute in some way to help better their lives.